From historical records, Gadjah Mada (the Prime Minister of Majapahit Kingdom) pledged sacred promise “Palapa Oath” to unite the Nusantara archipelago under the kingdom of Majapahit. The spirit of that oath which later inspired a national movement activists lot consisting of groups of young people to pledge Youth Pledge. Landed from one, one nation and one language, namely Indonesia. Capital of unity among tribal children is then led the people of Indonesia to the independent day which proclaimed on August 17, 1945. Relay struggle for independence gave way to stick to the independence struggle is often referred to as the process of development. Until we reach the age of seven decades of our independence today, we must admit that the joy of the development cake can not be enjoyed equally by people all over the country, even more so for our brothers and sisters in remote areas or on the outer islands. The gap between regions, and the islands is wide. These conditions give rise to the emergence of a dichotomy central and local, urban and rural, western Indonesia and East Indonesia, to Java and outside of Java. Jakarta as the capital and administrative center of the breath of life as the center of the Indonesian state. All things and all sorts of presented or available completely in Jakarta. There are many magnificent skyscrapers and luxury in Jakarta. Modern economic facilities, such as malls, supermarkets, up to market and luxury stalls are scattered in various corners of the capital. 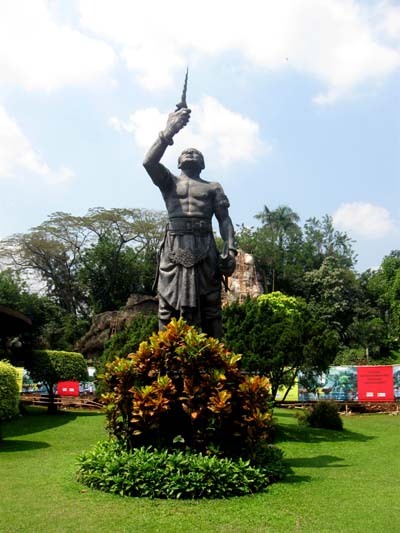 Likewise with tourist facilities, entertainment, education, health, all available completely in Jakarta. In a more extreme sense, Jakarta is a storehouse of money! If Jakarta is a repository of money, it is also undeniable that the development and introduction of products of modern sophisticated technologies first occurs in the center of the country. Similarly the development of the internet with all its potential and extraordinary opportunities, it is also certainly enjoyed Jakarta including the first history of the universe of dynamics blogging in the country. Blog, as one of the applications developed uses internet for the first time also enjoyed in the central region. Within a few years ago, the institution of the Blogger Day on October 27, 2007 was also declared in Jakarta. Similarly, in a festive commemoration the 1st to 4th Blogger Party a few years later was also centered in Jakarta. All representatives of bloggers from different regions have flocked dating “joint” to Jakarta. Is this condition as it should be? Realizing breath and feel a centralized Blogger Party, several drivers blogger community in some areas are not always initiated a passion for “Jakarta centries”. One current idea is transformed into a club or association Blogger Nusantara. Unite all bloggers in the country in a group together, it looks like it is not possible and instead it seemed to deny the reality of plurality among all of us. I think the presence Blogger Nusantara is not in a that position or capacity. However, the spirit and the spirit of brotherhood amongst connect the nation with as much as possible provide opportunities and access for bloggers outside of the center of power is the main strength of the Blogger Nusantara. In addition, the presence Blogger Nusantara also want to facilitate the bloggers to educate themselves in exploring all the positive opportunities the blog. Blogs are not only a medium to express their thoughts, opinions, ideas, or the outpouring of the heart, but blogs can also be used as media for profit. Likewise with the assistance efforts blogger communities in the region in the implementation of the agenda of activities, especially against classical constraints such as lack of funding, sponsorship issues, and networking, as well as a concern by Blogger Nusantara. Not just reached the level of concepts and ideas, Blogger Nusantara has proved itself able to join forces to organize the biggest event blogger gathering attended by more than 1000 bloggers in Kopdar Akbar Blogger Nusantara that held last October 2011 in Sidoarjo, East Java. Now big gathering being prepared for the second held in Makassar, 9-11 November 2012. There are major challenges that must be answered by Blogger Nusantara own related major event gathers bloggers from all over the country outside of Java and eastern Indonesia for the first time. This is where all the components of bloggers who have the commitment and aspirations in line with Blogger Nusantara been challenged to come, of course, with limited funds and time, through the boundaries of land, sea, and air. On the other hand, fellow committee Anging Mamiri also face the challenge to gather all the strength in organizing and managing big gathering this grand event. One thing to note for us to think together, that since time immemorial our ancestors and predecessors of this nation face obstacles far more complicated and complex in accordance with the state of that time period, to pledge the spirit of unity of Indonesia. However, until now we all see that Indoenesia standing as a great nation. Spirit, inner strength to be together, to peace, to unite that is able to face and overcome all the obstacles encountered era. From there, it should all Blogger Nusantara have confidence that we can. 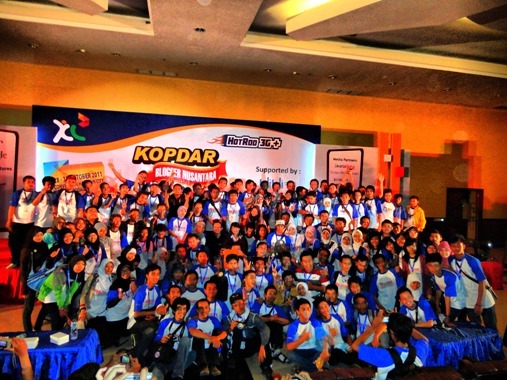 Good luck to Kopdar Akbar Blogger Nusantara 2012 in Makassar, 9-11 November 2012. Regards Blogger! Images taken from here, here, and here.